William D. Elliott represents businesses and their owners. Using innovative billing arrangements, Mr. Elliott believes that the business owner should be able to retain a lawyer on a fee basis that makes legal fees affordable and predictable, and creates an incentive for the lawyer to be efficient and attain the client goals on time and on budget. Finally, Mr. Elliott wants a fee arrangement that invites the client to seek legal counseling and consultation. As an experienced tax lawyer, Mr. Elliott understands that taxes form a material part of most business decisions. Yet, the real world reality is that the business owner wants and needs legal expertise spanning a wider array of needs than just taxation. Therefore, Mr. Elliott’s twin board specializations of Taxation and Estate Planning & Probate equip Mr. Elliott to handle the business owner’s individual, family and business legal needs. Mr. Elliott’s tax experience is extensive. Representing taxpayers with disagreements with the IRS is a material part of his tax work. 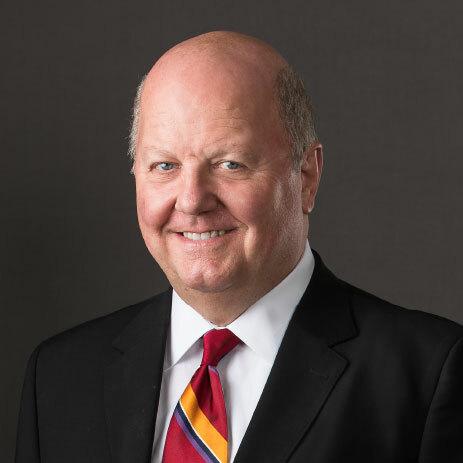 Also, his experience includes the full array of business transactions, such as the purchase and sale of business, reorganizations, management succession, buy-sell agreements, and other important milestones in the life of a business of which tax issues form a material part. Mr. Elliott’s estate planning experience is also extensive, including complex, large net worth clients, multi-generational estate planning, and private and public non-profit organizations. Of importance, Mr. Elliott believes a client is best served by his estate planning work coordinated with the business legal representation. Outstanding Texas Tax Lawyer 2017, Section of Taxation, State Bar of Texas. Former Chair, Farmer’s Market Tax Increment Finance District, City of Dallas. Advised multi-generation ranching family on estate planning issues arising from extensive holdings of ranch land through western U.S. Authored, "Bad Cases Make Bad Law - Orr", CCH Taxes, March 2019. Authored, "Judicial Tax Collection - Part 1", CCH Taxes, January 2019. Authored, "Refund Offsets—Part 5: Community Property Issues, CCH Taxes, November 2017"
Authored, "Refund Offsets—Part 4: Common Law Doctrines, CCH Taxes, September 2017"
Authored, "Refund Offsets—Part 3, CCH Taxes, July 2017"
Authored, "Refund Offsets—Part 2, CCH Taxes, May 2017"
Authored, "Refund Offsets—Part 1 , CCH Taxes, March 2017"
Authored, "The Notice of Tax Lien: The Devil is in the Details, CCH Taxes, January 2017"
Authored, "Tax Collection: Issues and Problems, CCH Taxes, November 2016"
Authored, "Estate and Gift Tax Liens: Selected Problems and Issues, CCH Taxes, September 2016"
Authored, "Fiduciary and Transferee Liability Arising from Delinquent Estate or Gift Taxes: Part 3, CCH Taxes, July 2016"
Authored, "Fiduciary and Transferee Liability Arising from Delinquent Estate or Gift Taxes: Part 2, CCH Taxes, May 2016"
Authored, "Fiduciary and Transferee Liability Arising from Delinquent Estate or Gift Taxes: Part 1, CCH Taxes, March 2016"
Authored, "Chevron Deference, CCH Taxes, January 2016"
Authored, "Fifth Circuit Review: Federal Taxation, Texas Tech Law Review, Spring 2016, 2015, 2014, 2013, 2012, 2011, 2010 and 2009"
Authored, "Responsible Officer Cases, CCH Taxes, November 2015"
Authored, "Revisiting Ethics Issues with Multi-Party Representation: Conflicts with Current Clients Versus Conflicts with Former Clients, CCH Taxes, September 2015"
Authored, "Outer Reaches of IRS Foreclosure Power, CCH Taxes July 2015"
Authored, "Selected Issues from the National Taxpayer Advocate's Report to Congress, CCH Taxes, May 2015"
Authored, "Receivership as a Tax Collection Tool, CCH Taxes, March 2015"
Authored, "Tales from the Witness Box, CCH Taxes, January 2015"
Authored, “Unrecorded Conveyances and Federal Tax Liens” CCH Taxes November 2014"
Authored, “Notable Developments Affecting Tax Practice” CCH Taxes September 2014"
Authored, “Judge Irving L. Goldberg and the Federal Tax Law” Texas Tech Law Review Vol. 46, 849 (2014)"
Authored, “Fifth Circuit 2014 Review: Federal Taxation” Texas Tech Law Review, Vol. 46 (2014)"
Authored, “Tax Practice Concepts: Privacy” July 2014"
Authored, "Miscellaneous Topics Concerning Code Sec. 6324(a)(2) Transferee Liability, Payment vs. Deposits and Reasonable Reliance on Professionals to Avoid Penalties, CCH Taxes, March 2014"
Authored, “Selected Issues from the 2013 National Taxpayer Advocate Report” CCH Taxes May; 2014 and reprinted in CCH Journal of Tax Practice & Procedure April-May 2014"
Authored, “Tax Collection Against Independent Contractors” CCH Taxes January 2014"
Authored, “IRS as Claimant of Estate” CCH Taxes November 2013"
Authored, “Just Say No: Criminal Issues Arising in Tax Collection” CCH Taxes September 2013 and reprinted in CCH Journal of Tax Practice & Procedure Oct-Nov 2013"
Authored, “Fifth Circuit 2013 Review: Federal Taxation” Texas Tech Law Review, Vol. 45 (2013)"
Authored, “IRS Foreclosure Power: Rodgers 30 Years Later” CCH Taxes July 2013"
Authored, “Advising Clients Who Claim They Employ Independent Contractors” CCH Taxes May 2013"
Authored, “Case Study: Boardwalk Motor Sports, Ltd.; Car Dealer, Bank, the IRS and a Ferrari” CCH Taxes March 2013"
Authored, “The Risks of Owning Property with a Delinquent Taxpayer” CCH Taxes January 2013"
Authored, "Successfully Obtaining a Judgment Against a Delinquent Taxpayer, CCH Taxes, November 2012"
Authored, "CCH Taxes November 2012"
Authored, “Potpourri of Tax Practice Issues” CCH Taxes September 2012"
Authored, “Fifth Circuit 2012 Review: Federal Taxation” Texas Tech Law Review, Vol. 44 (2012)"
Authored, “The Troublesome Transferee Liability” CCH Taxes July 2012"
Authored, “IRS Setoff Rights: Resurrecting Time-Barred Tax Liabilities” CCH Taxes May 2012"
Authored, “The OPR Investigation,” CCH Taxes January 2012"
Authored, “Naked Assessments,” CCH Taxes January 2012"
Authored, “Taxpayer Advocate Report 2011 (sic 2010) Highlight Reel,” CCH Taxes November 2011"
Authored, “Heightened Awareness of Innocent Spouse Claims,” CCH Taxes September 2011"
Authored, “The Math or Clerical Error Exception,” CCH Taxes July 2011"
Authored, “Coping with a Nominee Lien,” CCH Taxes May 2011." Authored, “IRS Collection in the Current Recession,” CCH Taxes March 2011"
Authored, “Reopening the Door: Disputing Tax Liability in a Collection Due Process Case,” CCH Taxes January 2011"
Authored, “Conflicts of Interest in Tax Practice,” CCH Taxes November 2010"
Authored, “IRS Collection Against Trusts: Trust Language Matters,” CCH Taxes September"
Authored, “Assessment Irregularities,” CCH Taxes July 2010 and reprinted in CCH Tax Practice and Procedure September 2010"
Authored, “Loaning Money to a Delinquent Taxpayer,” 24 J. Taxation and Regulation of Financial Institutions, No. 1, Sept/Oct. 2010"
Authored, “Responding to a Federal Tax Levy: What Should a Financial Institution Do?,” 23 J. Taxation and Regulation of FinancialInstitutions, No. 6, July/August 2010"
Authored, “National Taxpayer Advocate’s 2009 Report to Congress: Important Information for the Tax Practitioner,” CCH Taxes, May 2010"
Authored, “Fifth Circuit Survey: Federal Taxation,” 42 Texas Tech L. Rev. No. 3 (Spring 2010)"
Authored, “Divorcing Delinquent Taxpayers: Unrecorded and Thus Unrequited,” CCH Taxes, March 2010"
Authored, “Ethics and Liability Issues of Multiparty Representation in Tax Practice,” CCH Taxes January 2010"
Authored, “Substitutes for Return,” CCH Taxes, November 2009"
Authored, “Levies on Fixed and Determinable Income or Property,” CCH Taxes October 2009"
Authored, “Purchasing Property from a Delinquent Taxpayer,” CCH Taxes, September 2009"
Ethics & Liability of Multi-Party Representation, TexasBarCLE webcast, with George Coleman, Sept. 27, 2009, with paper. Authored, “Fifth Circuit Survey: Federal Taxation,” 41 Texas Tech L. Rev. No. 3 (Spring 2009)"
Authored, “Ethics and Risks in Multi-Party Representation,” CCH Taxes January 2009"
In 2009, Elliott started the Texas Tax Legends Project with the sponsorship of the State Bar of Texas Tax Section. The project involves a filmed interview of leading tax lawyers in Texas and elsewhere about their careers. Chaired the 2008 Dallas Chapter of CPAs, Annual Free CPE Day, May 2008. Chaired and moderated webcast on “Texas Margin Tax” State Bar of Texas, August 2007. Chaired panel discussion on “Facade and Easements Donations to Charity” to the American Bar Association, Section of Taxation, Real Estate Tax Committee, Ft. Lauderdale, FL, January 2007. Co-authored and presented paper on “Estate Planning for Real Estate Owners” to the New York University School of Law Federal Tax Institute, San Diego, California November 2006. Chaired panel discussion, “Estate Planning for Real Estate Owners” to the American Bar Association, Section of Taxation, Real Estate Tax Committee, Washington, D.C., May 2006. Participated in panel discussion on “Collection Due Process Hearings and Offers in Compromise,” at the American Bar Association, Section of Taxation, Bankruptcy and Workout Committee, San Diego, California, January 2006. Participated in panel discussion on “IRS Expense Guidelines and Offers in Compromise,” at the American Bar Association, Section of Taxation, Bankruptcy and Workout Committee, Washington, D.C., May 2005. Chaired panel discussion, “Conservation Easements in Estate Planning,” to the American Bar Association, Section of Taxation, Real Estate Tax Committee, Boston, Massachusetts, October 2004. "New Tax Collection Weapon - Passport Revocation," August 10, 2018, 36th Annual Advanced Tax Law Course, TexasBarCLE, Dallas, Texas. Filmed Luncheon Interview, Larry Gibbs, Texas Tax Legends Interview Series, Texas Federal Tax Institute, June 21, 2018. Filmed Luncheon Interview, Ron Pearlman , Texas Tax Legends Interview Series, Texas Federal Tax Institute, June 21, 2018. Filmed Interview, Ron Pearlman , Texas Tax Legends Interview Series, June 21, 2018. "Backdating, Rescission and Reformation," May 18, 2018, TexasBarCLE 16th Annual Choice, Governance & Acquisition of Entities Conference (presented with David C. Gair, Dallas). "Tax Cuts & Jobs Act of 2017" May 23, 2018, Grayson County Bar Association, Sherman, Texas. "Structuring Law Firm Organizations and Related Ethics Issues, May 18, 2017, TexasBarCLE 15th Annual Choice, Governance & Acquisition of Entities Conference (with Professor Elizabeth Miller, Waco). "Transferee & Fiduciary Liability Arising from Estate & Gift Taxes, June 6, 2016, Dallas Bar Association Section of Taxation. "Key Changes in Our Federal Tax System Over the Last Fifty Years, and the Role and Impact of Practitioner Professionalism," October 21, 2015, 2015 Southern Federal Tax Institute (with Lawrence B. Gibbs). Interview Donald O. Chapoton, Real Estate-Partnership Committee luncheon, January 30, 2015, ABA Section of Taxation Mid-Winter Meeting, Houston, Texas. Interview, Eric Solomon, Real Estate-Partnership Committee luncheon, Sept 18, 2015, ABA Section of Taxation Fall Meeting , Chicago, Illinois. Interview, Larry B. Gibbs, Dallas Bar Association Tax Section luncheon, September 14, 2015. Filmed Interview, Eric Solomon, Texas Tax Legends Interview Series, Texas Federal Tax Institute, San Antonio, June 11, 2015. Filmed Interview, O. Donald Chapoton, Texas Tax Legends Interview Series, May 30, 2015. Filmed Interview, Robert E. Davis, Texas Tax Legends Interview Series, Dallas Bar Association Section of Taxation luncheon, April 6, 2015. Filmed Interview, Kenneth W. Gideon, Texas Tax Legends Interview Serie, Texas Tax Section Annual Meeting, Austin , June 27, 2014. Interview, Larry W. Gibbs, Texas Federal Tax Institute, San Antonio, June 2014. Filmed Interview, Kenneth W. Gideon, Texas Tax Legends Interview Series, April 7, 2014. Filmed Interview, Phillip L. Mann, Texas Tax Legends Interview Series, December 3, 2013. Filmed Interview, John E. (Buck) Chapoton, Texas Tax Legends Interview Series, August 23, 2013. Filmed Interview, Stanley Johanson, Texas Tax Legends Interview Series, Texas Tax Section Annual Meeting, Dallas, Texas, June 21, 2013. Filmed Interview, John E. (Buck) Chapoton & O. Donald Chapoton, Texas Tax Legends Interview Series, Texas Federal Tax Institute, San Antonio, June 12, 2013. Filmed Interview, Stanley Johanson, Texas Tax Legends Interview Series, Jan. 29, 2013. Filmed Interview, Emily A. Parker, Texas Tax Legends Interview Series, Nov. 15, 2012. "Who's on First?-Ethical Issues Arising from Multiparty Representation," August 30, 2012, 26th Annual Legal Seminar on Ad Valorem Taxation. Filmed Interview, Charles W. Hall, Texas Tax Legends Interview Series, March 26, 2012. Presented, “Federal Tax Liens: How They Arise, What They Attach To, Competing Liens, Certificates, Withdrawals and CDP Requests,” Tax Alliance Conference, November 2, 2011. Presented, “Representing Multiple Parties – Where Are We After the State Bar Referendum?”, 2011 University of Texas School of Law LLCs, LLPs, and Partnerships, July 15, 2011, with George W. Coleman, Bell Nunnally & Martin LLP, Dallas, TX. Filmed Interview, Robert E. Davis, Texas Tax Legends Interview Series, Sept. 2011. Filmed Interview, Larry B. Gibbs, Texas Tax Legends Interview Series, Texas Tax Section Annual Meeting, San Antonio , June 2011. Filmed Interview, Larry B. Gibbs, Texas Tax Legends Interview Series, May 4, 2011. Presented, “Navigating the Dangerous Waters of Multi-Party Representation in LLC and Partnership Deals, University of Texas School of Law 2010 Conference on Partnership and Limited Liability Companies", July 22-23, 2010, Austin, Texas. Presented, “Ethics of Multi-Party Representation in a Business Formation and Termination,” Texas Bar CLE webcast, July 8, 2010 with George Coleman, Bell & Nunnally, Dallas. Presented, “The Future of Law Practice,” Dallas Bar Association, Professionalism Committee, July 6, 2010, with George Coleman, Bell & Nunnally, Dallas. Presented, “Ethics and Risks in Multi-Party Representation,” to Dallas Chapter of CPAs, February 2010; Dallas Bar Association Section of Taxation, December 2009 (with Dan Baucum), and State Bar of Texas CLE Webcast, October 2009 (with George Coleman), and Grayson County, Texas Bar Association, July 2009. Filmed Interview, David G. Glickman, Texas Tax Legends Interview Series, Nov. 29, 2010. Filmed Interview, Ronald M. Mankoff, Texas Tax Legends Interview Series, Oct. 28, 2010. Filmed Interview, Richard A. Freling, Texas Tax Legend Interview Series, Oct. 14, 2010. Filmed Interview, Buford P. Berry, Texas Tax Legend Interview Series, Sept. 20, 2010. Filmed Interview, Buford Berry, Ronald M. Mankoff & Richard Freling, Texas Tax Legends Interview Series, Oct. 28, 2010. Forming Professional Services Firm, with Dan Baucum, State Bar of Texas Advanced Tax Institute August 2009 and State Bar of Texas Annual Meeting June 2009. Purchasing Property From a Delinquent Taxpayer, September 2009 Taxes Magazine, Vol. 87, No. 8. Presented, “Forming Services Company,” State Bar of Texas Annual Meeting June 2009 (with Dan Baucum, Tina Green & George Coleman) and State Bar of Texas Advanced Tax Institute August 2009 (with Dan Baucum). Fred Goldberg, Luncheon interview, Texas Federal Tax Institute, San Antonio, Texas (June 2016) (interview by Dan Baucum).